Global climate changes have altered the timing of many frog and toad life cycles. In local areas, how have these phenological shifts affected the interactions of community members? SRS researchers and cooperators used a whole-population approach to test whether phenological shifts affect amphibian interactions in natural communities. For 15 years, the scientists have monitored frog calls at eight ponds in east Texas. 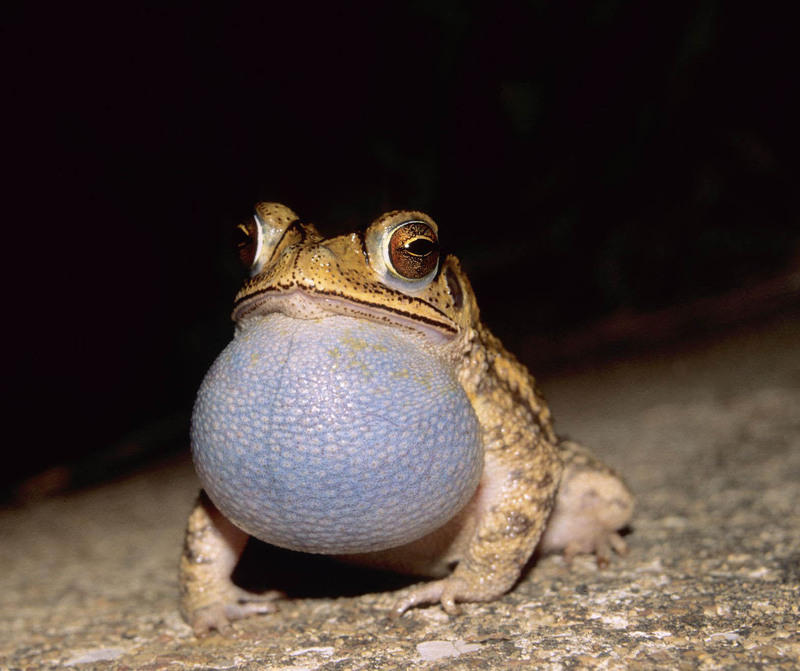 Using this dataset, the scientists mapped annual calling periods for individual frog species and compared the timing of calling for pairs of species. The scientists also tested trends over time for differences in timing of calling and described uniformity or year-to-year variation of timing. The calling periods for one quarter of the tested species pairs increased in overlap over time, thus increasing the potential for interactions. However, the calling periods for most species were quite variable from year to year. Due to this variation in phenological distributions of individual species, the potential for interaction between competitors also increased.